Our members come from all walks of life and from all of the United States. Yet, all have been successful in some way, either through business, art or philanthropy. Our current average age of members is 56. 99% of all club owners own homes here, while 84% of those properties are 2nd homes. Four levels of membership are offered at the Telluride Ski & Golf Club – each crafted with varying degrees of commitment and involvement. Each week the Telluride Ski & Golf Club hosts events for its members to mix and mingle. Sporting tournaments, mixers and even trivia nights are held weekly to help members enjoy the camaraderie of the club. When the snow flies in Telluride, members may take advantage of complimentary ski clinics or catch first tracks during the First Light Ski outings, each of which will culminate with a hearty on-mountain breakfast. Other highlights include the annual Holiday Party & New Year’s Eve Champagne Reception, and the Après Ski Parties, which are held throughout the season and provide ample opportunities to mingle with fellow members and guests. When the snow melts and summer is in full bloom, the club calendar doesn’t slow down. Golf tournaments and clinics are offered throughout the season, and include the popular Couples Scramble and Nine & Wine outings, as well as the club’s signature event of the summer, the Telluride Classic Member Guest Tournament. 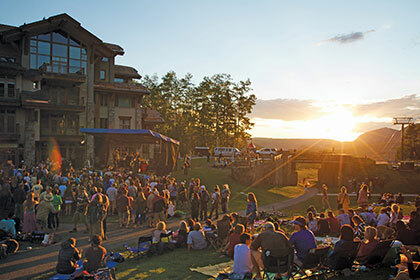 The annual Summer Kickoff Party and the outdoor concerts held throughout the summer season are only a few of the club’s many social activities. Reciprocal benefits are with the Aspen Ski Club, The Game Creek Club in Vail and The Boulders Resort & Spa in Scottsdale, AZ. These benefits provide access to the private on-mountain restaurants in Aspen and Vail and to special pricing for golf rounds at The Boulders. 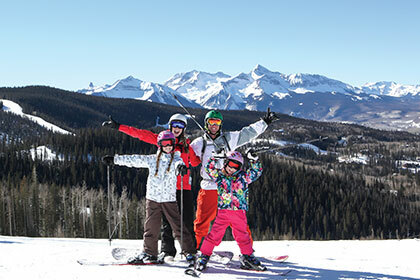 Telluride Ski Resort is proud to have a collaborative relationship with the luxury vacation home provider, TheBestSpots.com. The Best Spots features high-end vacation home rentals in Colorado, California, Nevada and Hawaii. Founded in 1998, their service goes above and beyond normal rental procedures to ensure that guests have a relaxing and unforgettable experience.